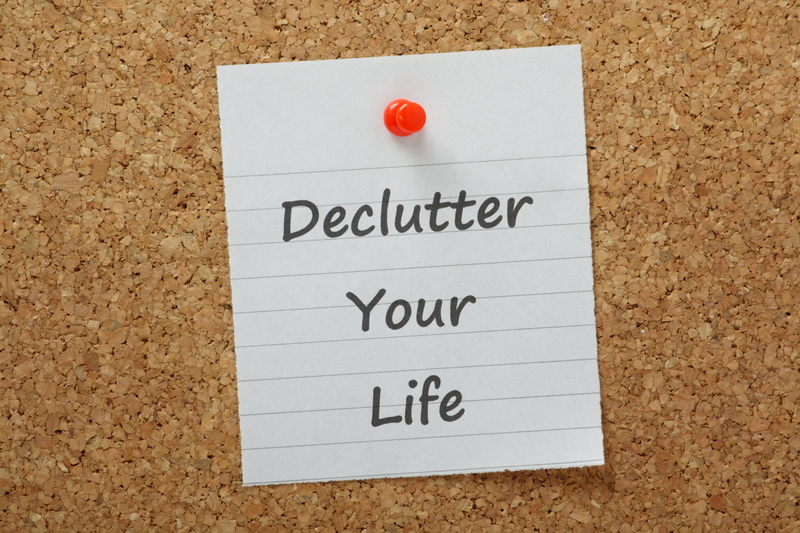 Was your New Year’s resolution to get your home organized or start a new home improvement project? If so, you’re not alone! We recently interviewed home décor stylist and lifestyle blogger, Denise Cooper from Be My Guest with Denise to find out her favorite organization tips and top projects for the new year. 1.) What are your organization goals for 2019? Concentrating on controlling the clutter that enters my home and putting back items after use. If you move something, put it back where it came from. 2.) You’ve completed so many beautiful home improvement projects – what has been your favorite room to upgrade so far and why? Our closets! I’ve learned over the years having an organized closet saves you time as you get ready for your day. Everything should have a place so you know exactly where it is. 3.) Which room do you feel is the hardest to organize and what are your tips for this challenging space? Second-story open-concept family/great rooms are the most challenging for me since you have to determine where to place furniture that will work for you and your family. My advice is to use an area rug in the center of the room as an anchor. Then, place your furniture and tweak as you go. 4.) What is the key to an organized pantry? Assess your pantry on a weekly basis. Empty dry foods like snacks, cereals, sugar, and flour into clear food storage containers. That will free up lots of shelf space and you can see when items are getting low. Watch Denise’s gorgeous SpaceCreations pantry closet makeover! 5.) Do you have any advice for starting a new home improvement project? Plan and save! Create a plan and ask yourself how long it will take. Also, double your budget in case you need something that you didn’t know you wanted or needed, and most of all, be patient. Thank you, Denise, for sharing your great advice! To explore more of Denise’s beautiful home improvement projects and find more organization inspiration, be sure to visit her YouTube channel and blog. For all your storage needs, head over to ClosetMaid.com, and check out all of our other channels: Facebook, Twitter, Instagram, Pinterest, YouTube, Houzz and Flickr. 2 Comments on "Q & A with Be My Guest with Denise – Storage and Organization Tips"